The simultaneous closing of tenders by the Urban Redevelopment Authority (URA) for three of its 99-year leasehold private residential sites doesn’t seem to have cooled off property developers as bullish bids were submitted as City Developments Ltd (or CDL) bagged 2 out of the 3 sites. These sites were released for sale under the 2H2017 Government Land Sales (GLS) programme. One of the sites the Handy Road, situated within close proximity of Dhoby Ghaut MRT Station and Plaza Singapore shopping mall has drawn a top bid of $212.2 million ($1,722 psf ppr) from real estate powerhouse CDL. The Handy Road GLS site attracted massive interest from property developers, with a total of 10 bids being submitted. It was probably due to the recent pick-up in market sentiments and also the robust sales going on for one of the nearby projects, Sophia Hills – a 493-unit 99-year condominium, which is already 95% sold as of December 2017. CDL’s bid was approximately 12.3% higher than 2nd-placed Sing Essential’s bid price of $188.88 million ($1,533 psf ppr). Third in line was Hong Kong’s Cheung Kong Holdings – with a bid of $188.67 million ($1,531 psf ppr). It was noted that CDL’s bid for the Handy Road GLS site in District 9 was just slightly off the benchmark price of $1,733 psf ppr set by Frasers Centrepoint Ltd (FCL) for the Jiak Kim Street GLS site back in December 2017. 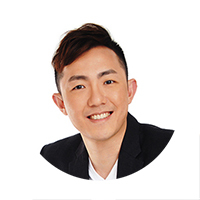 The break-even cost for the future new launch at Handy Road may work out to be around $2,300 psf and analysts reckon that the eventual selling price will be an average of $2,650 psf. According to CDL, the group is set to develop 3 residential towers (around 8 to 10 storeys tall), housing around 200 private homes in this new condo at Handy Road. There will be basement car parking and a conservation structure within the premises of the site will be used at a clubhouse. Another land parcel which drew huge interest was the West Coast Vale GLS site – with CDL making the top of the pile again with a winning bid of $472.4 million ($800 psf ppr). The top bid was a massive 35% higher than the $592 psf ppr paid by China Construction (South Pacific) Development Co. in February 2017, for another site (for the upcoming Twin View condo) just diagonally across at West Coast Vale. China Construction (South Pacific) Development Co. participated in this tender, only to fall behind CDL in 2nd place with a bid of $469 million ($794 psf ppr). Parc Riviera, which is a 752-unit private condo situated just adjacent to the subject West Coast Vale GLS site is 97% sold (as of December 2017) – at an average psf of $1,200. It will perhaps offer additional confidence to developers within the area despite the existing supply. Property consultants estimated that the break-even price for the West Coast Vale GLS site to be around $1,250 psf and the average selling price for the future new launch at West Coast Vale to be between the range of $1,400 – $1,500 psf. For this site, CDL mentioned that it is likely that the new condo at West Coast Vale will comprise of 2 residential towers (36 storeys tall each) with around 730 units in total. It was a much tighter affair for the 3rd private residential site, located along Chong Kuo Road. 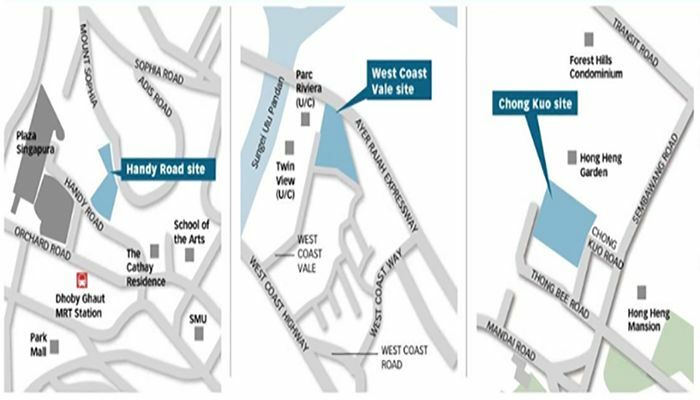 A joint-venture between Lian Soon Holdings & OKP Land have submitted a top bid of $43.95 million ($681 psf ppr) for the Chong Kuo Road GLS site, as TG Development falling short by 0.1% with a bid of $43.9 million ($680 psf ppr) – leaving them in 2nd place. Market watchers have commented that the bidding for all 3 private residential land parcels was bullish as the top bids have exceeded or were at the very top of market expectations. This is despite the tenders closing all together at the same time, which doesn’t seem to have tempered the bidding or deter interest in any way.